Last week the International Consumer Electronic Show (CES) 2016 took place in Las Vegas Convention Centre. The CES is the world’s largest annual consumer technology trade show, where savvy-tech consumers and industry leaders converged and have the opportunity to see the numerous gadgets that we might be using in the near future. This year CES was all about drones, the Internet of things, wearables, the new TV technology and virtual reality, which it’s set to make a big impact in 2016 with three big companies releasing VR headsets. Especially got our attention how Audi used virtual reality (VR) technology during the CES to create a virtual showroom experience. Owing to VR technology, Audi customers will be able to configure their next vehicle and even hear how it will sound like. According to the car manufacture, selected Audi dealers will start using this technology as part of the buying process later this year. 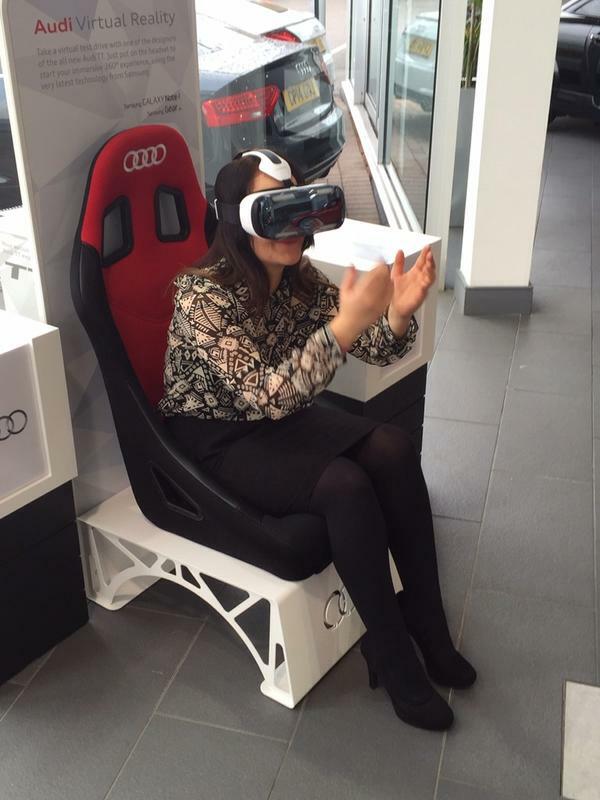 Through VR goggles, a pair of especial headsets and an immersive digital experience, customers will be able to explore and configure the entire range of Audi vehicles, which will enable them to customize the different features of the car in a realistic and detailed environment. Audi has teamed up with Nvidia Quadro GPUs and VR suppliers Oculus and HTC in order to develop this incredible technology that uses life-like sound effects and 3D graphics. Together these big tech companies have developed one of the most powerful computer-based VR graphic engines in the world, which uses five to seven million polygons to produce the image, at a rate of 90 frames per second. Audi’s virtual reality system represents a progressive innovation for automotive retail, which will offer its customers a unique experience. Those who constantly wonder about how retail will look like in the future might have got an idea now thanks to Audi.